Alida & Ben's Intimate Jewish Wedding was colorful, unique, fun, funky, and simply fabulous! 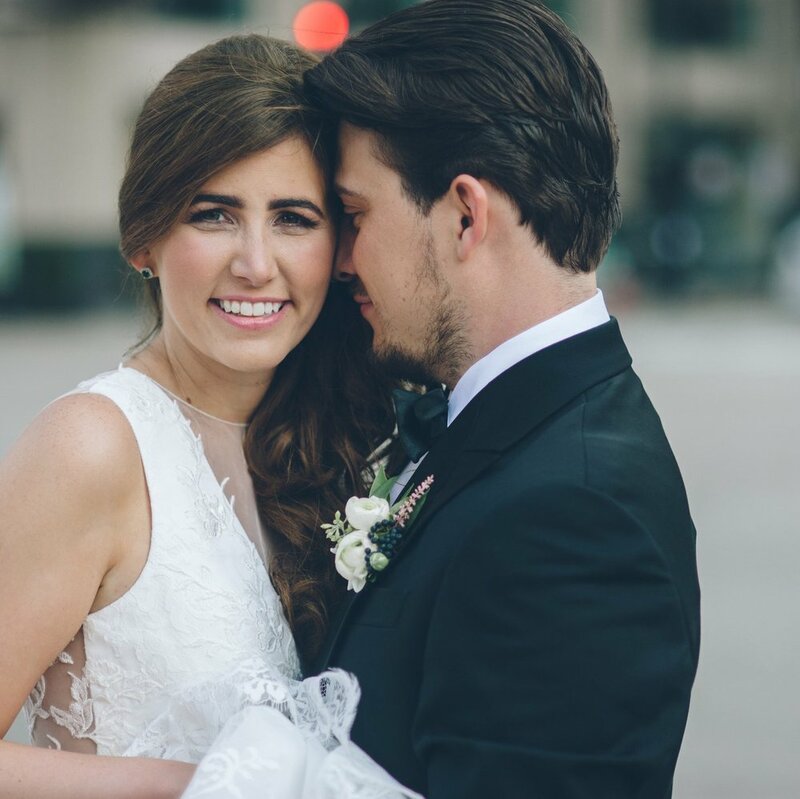 This super down-to-earth couple was a breeze to work with. And their wedding day was a true reflection of all of the little things that make them, them. Including their venue selection. Lacuna Lofts is a really unique space and the couple really added extra pizzazz (um, do you see that super cool GRAFFITI?!) with their unique decor choices. It was one of those weddings that left a memorable impression on guests -for all the right reasons. The bridal party got ready at the Hilton Chicago- which also provided a great setting for the couple's first look! After snapping a few picks and basking in the "we're about to get married glow", everyone made their way to the venue. They hosted a traditional(ish) Jewish ceremony, which definitely caused a few happy tears. And can we talk about that Huppa for a minute? Seriously, we love Jewish weddings because the ceremonies are SO amazing to witness. And the altar is always decorated so beautifully. AEG ALWAYS creates awe-inspiring, swoon-worthy designs. So it's no surprise that we were in love with this creation. Guests were treated to a fantastic reception and everyone danced and laughed the night away- just as we like to see! We love to see shots like this- we're very often behind the scenes, but occasionally you'll catch up in action in a photo!